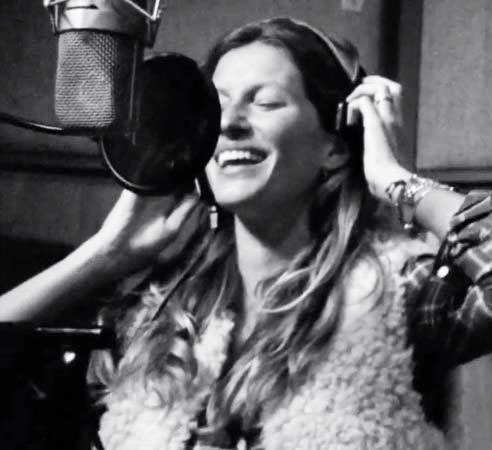 The relationship between Gisele Bündchen and Procter Gamble is better every day. Shes the Representative of two brands of the company in Brazil, Pantene and Oral-B, Gisele was promoted in December to the rank of Ambassador of Pantene in the United States and in Canada, due to the success of the brand of shampoos and conditioners after the hiring her, in 2007. And now there is a possibility she represent also the Oral-B on American territory since the brand of products for teeth also grew considerably in Brazil since that came to be associated with the image of Gisele. That, of course, should result in a big fat salary increase for La Bündchen, who takes home about $ 4 million per year from P&G. 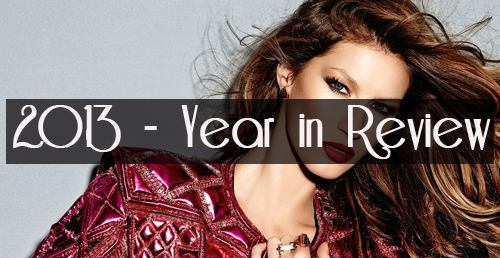 2013 was quite busy year for Gisele and we decided to make a review of her modeling work for all Gisele fans! So check it out! If we count all the fashion magazines, non-fashion magazines and miscellaneous magazine covers, Gisele’s picture was printed for 57 times on a cover in 2013 and her editorials were reprinted for six times. Gisele rejoined Brazilian brand Colcci, she walked the runway for them during Sao Paulo Fashion Week. Colcci campaign pictures will be released in 2014. At the very end of 2013 Gisele also became the face of Pantene US. We hope 2014 will be very interesting year for Gisele’s fans all over the world, that we’ll see many campaigns and editorials starring our gorgeous supermodel! FORBES Brazil hits newsstands this week with the first exclusive list of top 100 celebrities from Brazil in 2013. Inspired by the famous list “Celebrity 100”, created in 1999 by Forbes, the 16th brings an exclusive ranking of the 100 most influential famous in the country today. The list, the highlight of the cover lists athletes, entertainers, models, comedians, actors, singers and other artists of various genres that, by crossing six indicators, have more bullet needle to mobilize followers, for good or not. Other Brazilian models that are in thee list: Alessandra Ambrosio on 16 and Adriana Lima on 43. We’re posting only top ten, to see the full list click source below! Über model celebrates partnership with multi NK Store and presents new products from Oral-B, within 48 hours we will be in Brazil. Gisele Bundchen will make a new lightning trip to São Paulo, in early December. Without the company of little Vivian Lake and / or Benjamin, top model should remain less than 48 hours in Brazilian territory to fulfill an agenda of professional events. ‘s first happens on the afternoon of Tuesday (10:12) when she attends a launch line of Luxe White Oral-B , which has her as ambassador to Brazil. Besides presenting the news, on occasion she will hit a relaxed chat with journalist Lilian Pacce. The next day, the attention of the model will be totally focused on your brand of lingerie, the Gisele Bündchen Intimates . The beautiful celebrates new partnership with NK Store – which will sell the label from mid December -. joining the businesswoman Natalie Klein at a special cocktail party for invited guests and at 17h, the flagship store of the Gardens. “I am very excited about the partnership between the two brands. Be present in a conceptual boutique as NK is very special,” Gisele said in a statement. In addition to the newly launched lines Desirèe and Midnight, will also provide a multi-hit parts of the last two years of the label, including parts of Python, Princess, Boudoir, Wish, Diva Rococo Gold, Felina and Burlesque, selected by looking sharp Natalie. The Hurricane Gisele returns to the United States later in the evening of Wednesday (12:12). Vapt whoosh! HAVE you ever heard a supermodel sing? Well, Gisele Bündchen has given it a go in the new H&M campaign and – much like everything else she does – she’s pretty good at it. The supermodel – who was Forbes’ highest earner this year for the seventh year in a row – will model the company’s autumn/winter 2013 collection in television and online advertising debuting on September 12, and the voice you hear as she struts her stuff will be her own. The song, “All Day And All Of The Night” by The Kinks, will be available for free download from hm.com, and will also be on iTunes, raising money for UNICEF. For every single download from iTunes, H&M will make a donation to UNICEF to enable the purchase of vaccines for children. What made you want to record a song for H&M ? I thought it would be a fun experience. It’s not everyday someone invites you to record a song – I couldn’t pass that up! Have you always enjoyed singing ? As a child I used to sing in the school choir. I love music – it makes me feel happy and free. 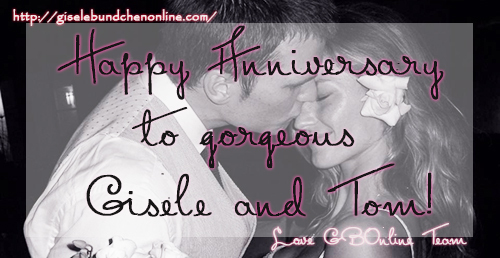 We wish you all the amazing things to you and your beautiful family! You’re a true ICON and deserve all the best! Have another beautiful year of your life!